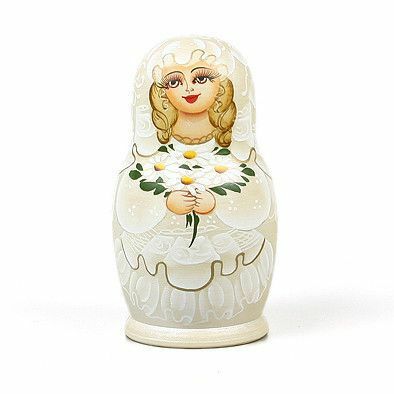 This beautiful nesting doll was hand-crafted, imported from, and hand-painted in, Russia. 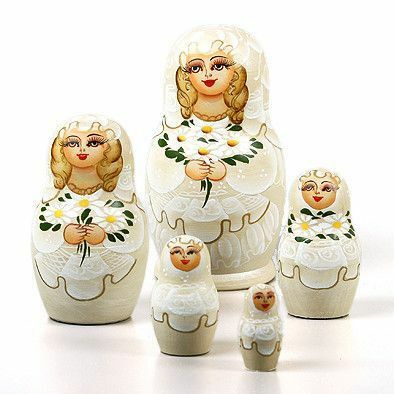 It features five dolls nested inside one another. The dolls feature a matte finish. 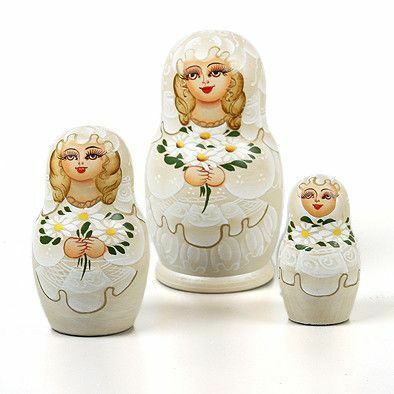 All of the dolls depict a bride with a bouquet of daisies. 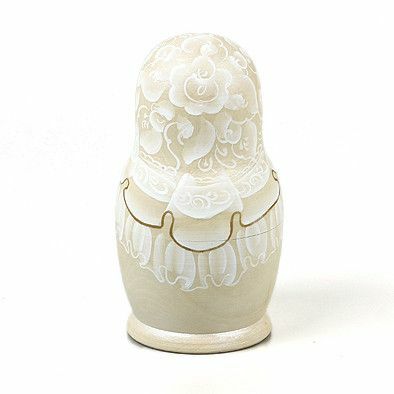 The pearl white paint really makes the details of the dolls exquisitely painted fair stand out. 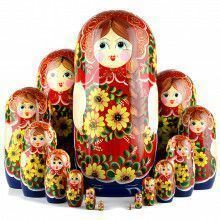 The largest doll measures Approximately 5 1/4" Tall. This would make a great wedding gift, or table centerpiece for a reception. 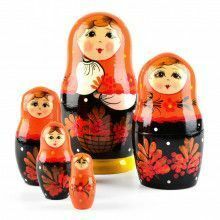 Each doll is hand-crafted, and unique, just like each person. 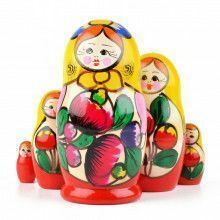 All of our nesting dolls are of the highest quality, and are hand inspected before being shipped out to you!